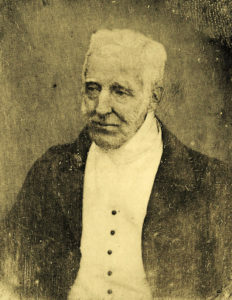 The Duke of Wellington was 75 when the image above was taken in 1844 by Antoine Claudet, court photographer to Queen Victoria and Emperor Napoleon III. By this time, the Duke’s lumbago, which he had periodically suffered from for decades, was a constant bane, as was the rheumatism in his neck, which caused him to favour one shoulder, giving him a slightly stiff appearance. In addition, a botched ear operation, performed after he’d suffered hearing loss from a canon charge, resulted in his being deaf in one ear. This hearing loss progressed and made his life a misery in later years. Still, if there was one thing sure to set off Wellington’s anger, it was people making him solicitous offers of help or assistance, however kindly they were meant. Wellington would explode and tell anyone who would listen that he remained perfectly capable of taking care of himself, thank you very much, and that he indeed did take care of himself on a daily basis. In one such recorded outburst, Wellington said that he shaved himself daily, bathed himself daily, was perfectly capable of brushing his own hair and, by God, he’d still be boning his own boots if he still had the strength! Boning his boots? I’ve been at this research malarkey for thirty years and had never heard the term. What in the world? 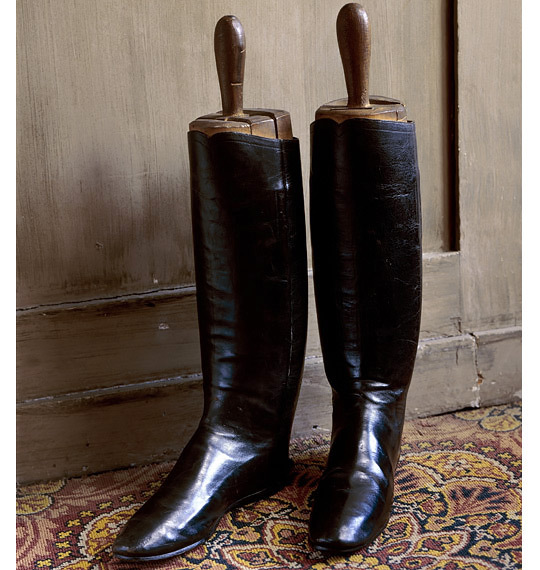 Turns out that boning boots was a method of treating and shining boot leather using a, er, bone. Deer bones were also used, as you’ll see in this video which explains the process. 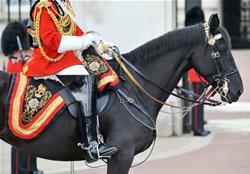 • Kiwi Parade Gloss, black for top boots and brown for jodhpur boots. The Kiwi Parade Gloss ($5.50) is best, other polishes don’t work as well for this technique. The true secret to a great shine is to fill the pores in the leather which creates a smooth ‘mirror’ surface. Get plenty of Kiwi Parade Gloss on your old towel, dip in the hot water and work into your boots. Take the first boot and using the rest of the old towel, polish both boots until your arms ache….this is where the elbow grease comes in! Repeat step one but DON’T polish the boots. Take your hair dryer and using the highest heat setting on the lowest speed, apply heat to the boot so the polish melts into the pores of the leather. If you watch closely you’ll see that the polish where the heat is applied becomes becomes very shiny. You can even repair scuffs or scratches by adding a little extra Parade Gloss and being careful how you melt it. Polish both boots again as much as your arms can stand it…the more the better! Time to ride in your shiny boots!. 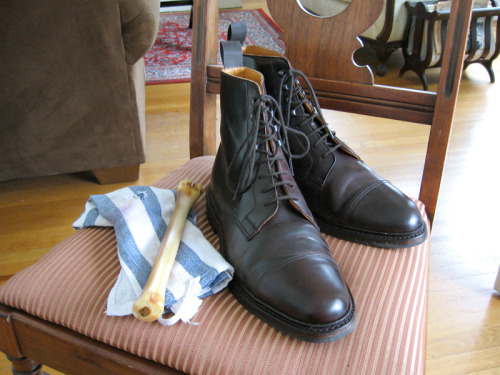 Some polish may flake off where the leather creases, but just buff with a soft cloth. The next time you go to polish your boots, clean them with methylated spirits first. This will make the leather appear milky and foggy looking but this is normal. Then repeat the above steps and you’ll be amazed at how much better the boots will look after the second go. Ready made boot shines are okay, but the Parade Gloss method is more satisfying and is also low maintenance. Of course, this will only work with leather top boots, don’t try it on your rubber ones! You can shine them up with the help of furniture polish such as Mr Sheen. If anyone compliments you on your beautifully shiny riding boots, tell them you learned how to do it at Top Horse!